Is Schools Outreach Next for Envision Loudoun? The first round of the county’s Envision Loudoun public roundtables, to gather input on the direction of the county’s new comprehensive plan, has wrapped up after six meetings with more than 900 participants, and a tally of more than 2,000 comments. The group of consulting firms that the county has hired plan to finish their report on the comments gathered at those community meetings in January, but in the meantime, the Board of Supervisors-appointed stakeholder steering committee that is guiding the county’s revisions of its big-picture planning documents is looking at other ways to gather input. Visit Loudoun President and CEO Beth Erickson and Tuscarora High School government teacher Wendy Yacoub, both members of that committee, suggested holding sessions in the high schools. Erickson said she had a high school student in one of the small group roundtables she led. “I will tell you, some of the thoughts that he brought forward were phenomenal,” Erickson said. Yacoub had even younger students in one of her groups. “It was a dumping ground of things they were concerned about, and a lot of it was the environment, which was awesome,” Yacoub said. “For a fifth grader to tell me that they’re worried about affordable housing was tremendous.” She offered to help coordinate listening sessions in the high schools. The county is also now gathering comments online at Envision-Loudoun.org. 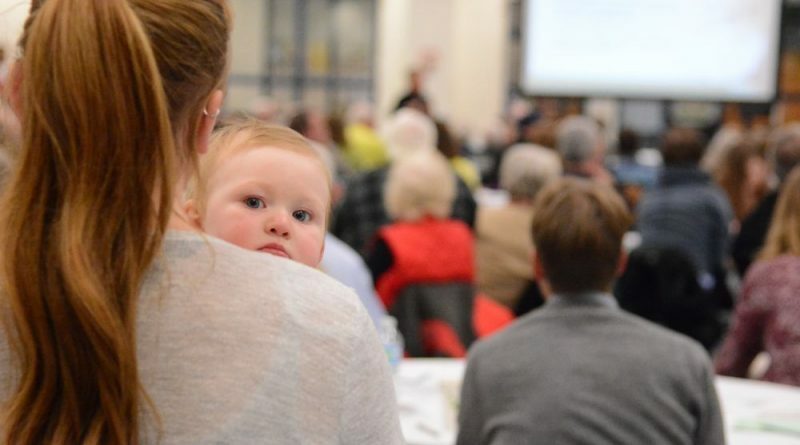 Although a complete summary of comments from the six Envision Loudoun meetings held around the county is not yet done, anecdotally, stakeholder committee members who led small group discussions said they heard some surprising things. Planning Commission Chairman Jeff Salmon (Dulles), who also chairs the stakeholders committee, said he heard from people living in the transition policy area that was created years ago to buffer the suburban east and rural west. The committee has also begun grappling with Loudoun’s explosive growth. Consulting firm McBride Dale Clarion planner and cofounder C. Gregory Dale pointed out that Loudoun’s population has been nearly doubling every 10 years, but new projections have the growth rate slowing down over the next several decades. Some committee members during their meeting Monday night worried about the perennial balancing act between residential and commercial development in the county, and others, like Bowman Consulting principal Packie Crown, pushed for more mixed-use zoning and creative solutions. Garcia, who leads the comprehensive plan work for the county, said the county will likely have to create new zoning regulations to deal with new types of development. And transportation concerns—from a new bridge across the Potomac River to Loudoun’s own struggling road infrastructure—remain in the spotlight. The comprehensive plan rewrite will also encompass the county’s transportation plans. The stakeholder steering committee will meet again in February.